It’s a camera and a flash drive at the same time. Introducing the Fuuvi Pick, a $60 little novelty gadget that sports a 2 Megapixel digital camera capable of shooting stills and video, and recharges and transfers files by simply plugging it into any USB slot. 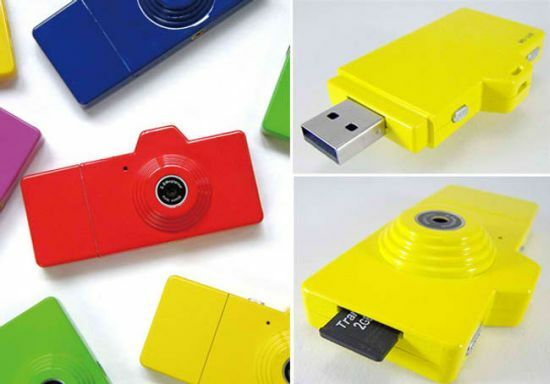 Colorful, and perfect for the gadget junkie who likes to show off. Uses a MicroSD memory card and runs only on Windows.